Anyone who has used Austin 3-1-1, the City of Austin’s one call for information and answers, knows how effective the resource is. Staffed by a knowledgable crew, we’ve found them to be exremely helpful. Often, when members contact AIBA about a question or issue, we refer them to 3-1-1 because it’s the quickest way to find what you need. Over the past few months, 3-1-1 has met with the Development Services Department (DSD) to learn about the services provided, and have undergone extensive training in navigating the DSD website and online tools to learn where to find information for the customer and how to direct customers to find information in the future. In September 2018, 3-1-1 became the primary point of contact for all calls to the DSD. Callers dialing DSD’s primary phone number, 512-978-4000, are automatically routed to 3-1-1 Ambassadors who will provide immediate, responsive and quality customer service to DSD customers seeking assistance and guidance 24/7, including holidays. · Track types of calls and frequently asked questions, which will help in improving DSD’s service levels. If the requested information is not available or rises to a technical level, 3-1-1 will generate a Service Request routed to DSD Customer Service Representatives. 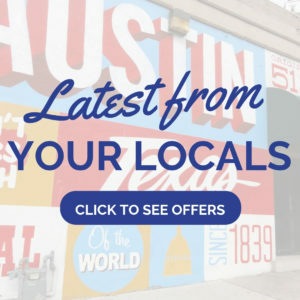 Each request will be assigned a tracking number, which the customer can use to recall their request if they have follow-up questions and view their request status online at 311.austintexas.gov. DSD is a partner of AIBA which allows us a closer relationship to work together and help local business. This is just one of many improvements coming you way! Project Dox, the ePlan software utilized by DSD will be upgraded on September 22, 2018! The new version 9.1 features several improvements to increase usability. • Phase I rolls out September 22 and allows the use of any browser to view drawings and PDF files. Other enhancements include a better screen layout, ability to search and sort all columns, and more intuitive button names. Additionally, Project Dox now integrates with Bluebeam for file review. • Phase 2 will be launched later this year and will include a more streamlined workflow and simpler one-step task acceptance, file upload, and completion. View screenshots of some of the enhancements. For more information, contact Christopher Summers.